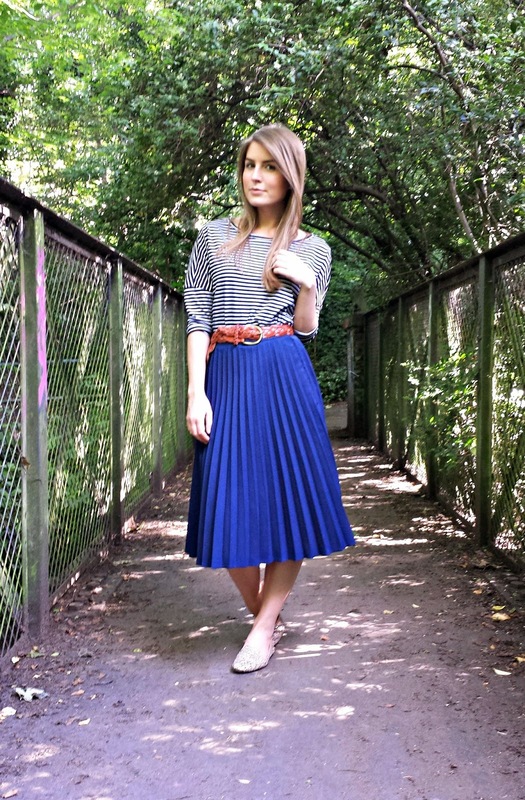 I seem to be wearing a lot of navy recently...I think this is my idea of embracing 'colour' for summer! I really love the peekaboo lace detail on this dress; worn with minimal accessories and a pair of statement shoes, this would make a great wedding-guest outfit. 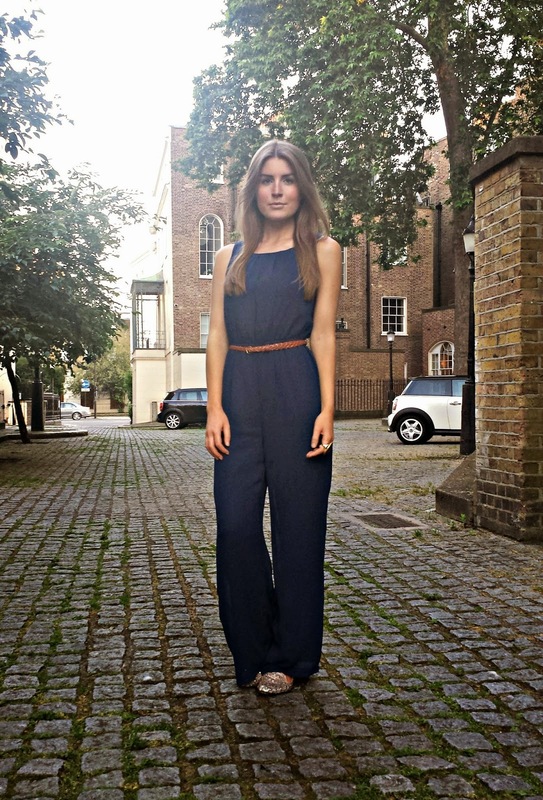 I love warm sunny evenings in London - there's always something going on and I can wear things like this jumpsuit and not have to cover it up. I wore this to Taste of London last week, a food festival that showcases some of the best restaurants in the city and let's just say I spent the evening gorging on different dishes and prosecco. The foodie's answer to Glastonbury, if you will. Talking of which, I'm going tomorrow! It's my first time and I'm really hoping the weather stays nice but I've packed the Hunters as a precaution. It means I won't really be contactable so if I don't reply to your emails/tweets, you'll know why. There is a post or two coming up though so keep your eyes peeled to the blog! I've been loving this outfit recently; it's light enough for this warm weather we've been having and it's perfect to go straight from the office to after-work drinks - no quick changes in the loo needed. 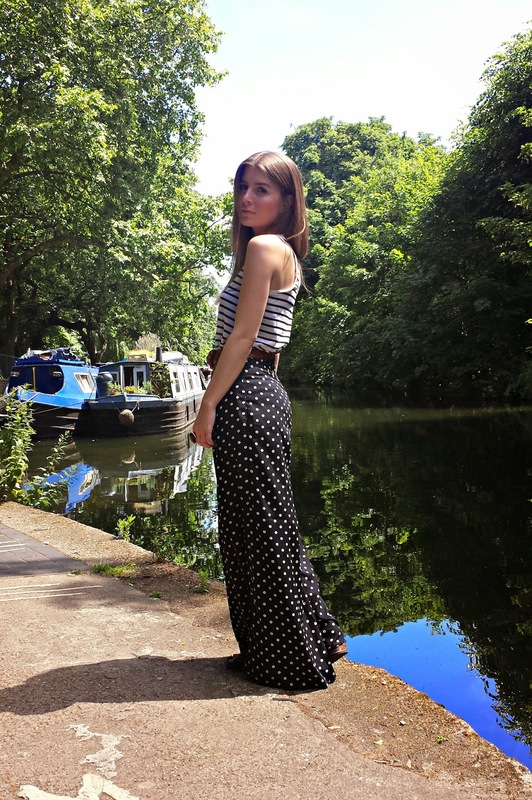 Clashing prints for a sunny Sunday walk along Regents Canal in London. It was such a gorgeous day today...here's hoping it's here to stay for the rest of the summer! 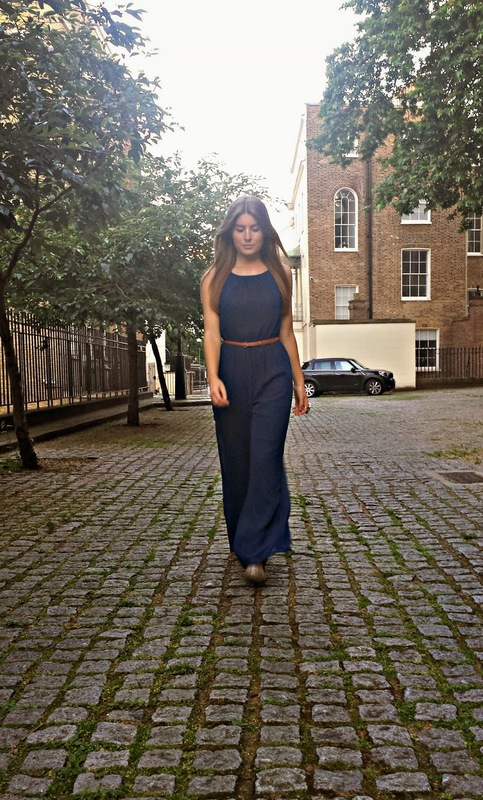 I love a good palazzo pant - these are from Topshop a few years ago but I've been seeing a few pop up on the high street this season. Paired with a light vest top and cinched in at the waist with a belt, they're perfect for a British summer. A pretty simple look for me today, but one which is perfect for warm summer evenings in the city. 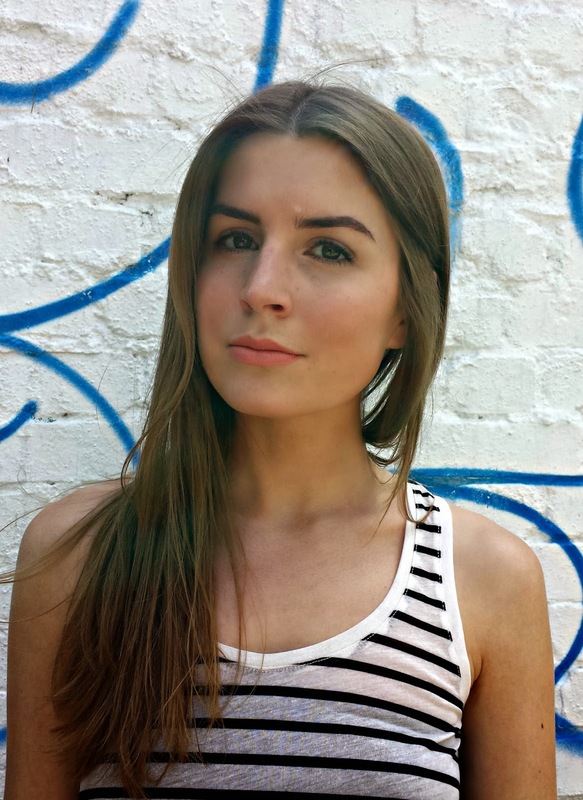 I bought this top about a month ago and it's proven to be really versatile; almost like a luxe white tee, I've been wearing it with everything.